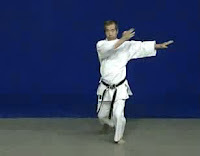 Seipai kata from Goju-ryu version performed by Abe Ryouiki. 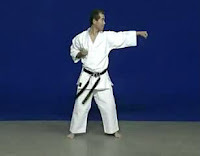 Seipai | Performer: Abe Ryouiki | Duration: 00:02:12 | Format: wmv | Video Size: 9 MB | Player: Windows Media Player or Media Player Classic. 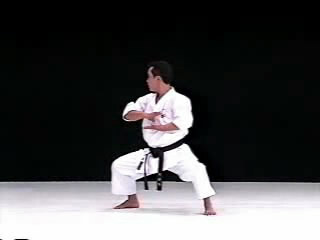 Pinan Shodan kata from Wado-ryu version performed by Hiroji Fukuzawa. 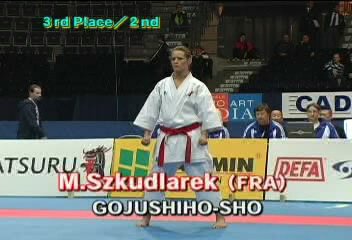 Pinan Shodan | Performer: Hiroji Fukuzawa | Duration: 00:00:48 | Format: mpg | Video Size: 3,3 MB | Player: Windows Media Player or Media Player Classic.